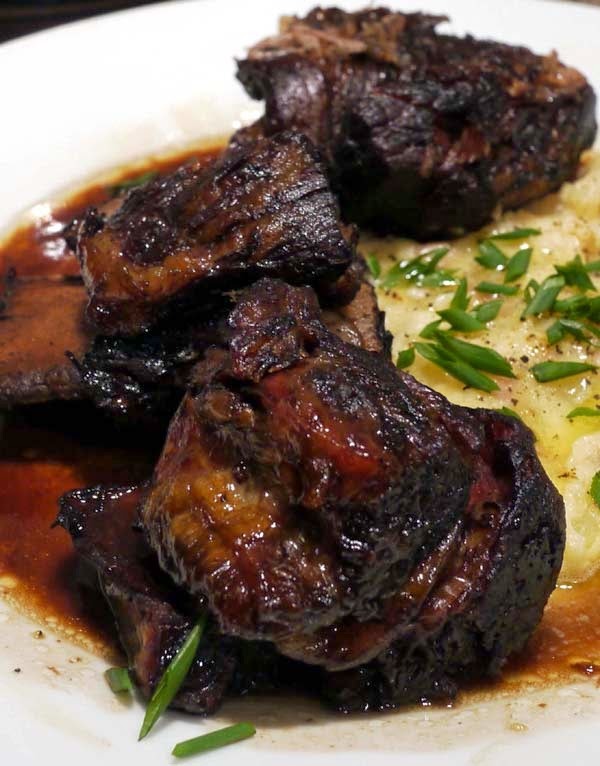 Short ribs are one of those delicious dish that I don't get to make a lot. Partly because my family and I are not heavy meat eaters. But every once in awhile, I get the craving, so I scoured the Internet for a recipe. I found one. And it's smoky and tangy, just as I like them but it's cooked from a slow cooker. 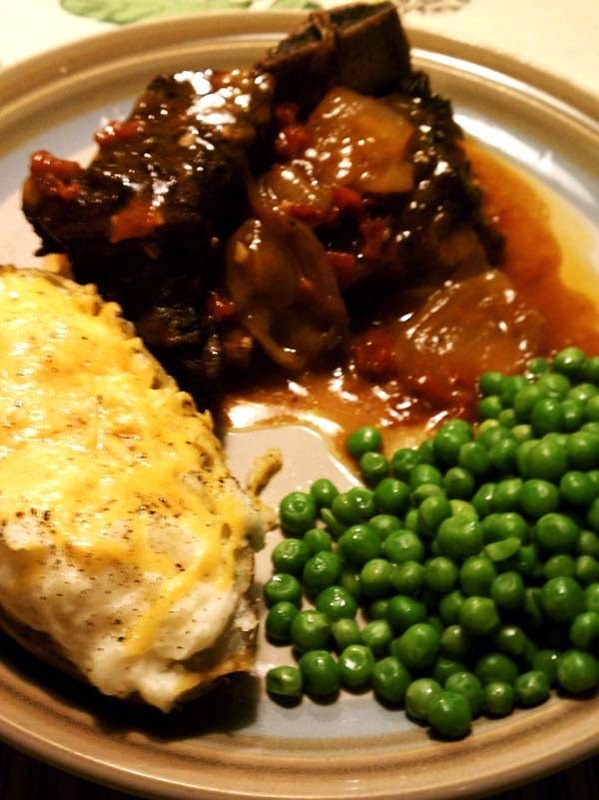 (1) In large skillet over medium high heat, brown short ribs on all sides. (2) Place ribs in a slow cooker. Top with onions. (4) Cover and cook on LOW 6-7 hours or until tender. Add cornstarch mixture and continue to cook 20 minutes or until sauce thickens. Good for serving 4 to 6. Serve with fresh vegetables and the likes of mash potatoes, rice, and baked potatoes.